Jewish Home MK proposes an alternative to the “two-state solution”: annexation with full citizenship. 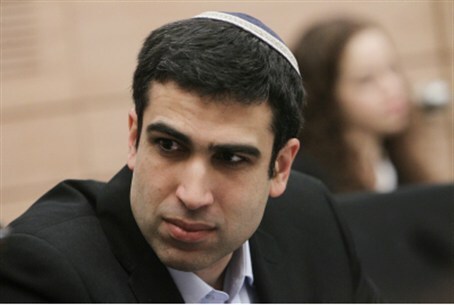 Bayit Yehudi (Jewish Home) MK Yoni Chetboun has a straightforward plan to end the Israeli-Arab conflict. He shared his proposal with United States Congressman Dave Reichert in a meeting Thursday. Chetboun began by arguing for the need for an alternative to the “two-state solution,” which would create a Palestinian Authority-led Arab state in Judea and Samaria. For decades, he said, Israel had no clear plan for the future of Judea, Samaria and Gaza. “We knew how to say ‘no,’ but not how to say ‘yes.’ That vacuum was filled by the ‘two states for two peoples’ solution, even though that would be a catastrophe,” he said. “The political right needs to create an alternative policy. To replace ‘two states for two peoples’ with a Jewish state with an Arab minority – in Judea and Samaria, too,” he declared. The plan is simple, he explained. Israel would annex Judea and Samaria, and would give Arab residents of the region Israeli citizenship. “They love to scare us with the ‘demographic threat,’ with the loss of the Jewish majority. It’s true, that’s a challenge. But that balance needs to be maintained by encouraging aliyah [immigration – ed. ], getting back to the basics… bringing Jews from around the world,” he concluded. Chetboun and Reichert also discussed the situation in Syria. The U.S. and Britain are weighing limited military intervention in Syria following a chemical weapons attack near Damascus that killed several hundred civilians. Chetboun said he believes the Western world should protect Syrian civilians from what he termed “a real massacre.” However, he said, ultimately, Israel cannot be involved.